Brain fog, or the inability to focus or concentrate for short periods of time, is fairly common, explains DrWilson.com. It is caused by a variety of factors, including metal or environmental toxicity, fatigue, infections or low blood sugar. A variety of herbal remedies may help improve clarity and brain function. However, many herbal remedies have not been scientifically tested for efficacy or safety, so prior to using any herbs, always discuss them with your doctor. Gingko biloba is an herb known for its ability to increase brain function and reasoning, as well as focus and concentration, according to DrWilson.com and the Center for Development, a website focusing on mental development, nutritional balance and deep healing created by Dr. Larry Wilson. Dr. Wilson cautions individuals against taking herbs or herbal remedies for long periods of time due to buildup of toxicity. The herb is believed to improve blood circulation to the brain, helping maintain optimal function and processing. St. John's wort is believed to help calm moods and anxiety, but is also known for its ability to increase brain function, suggests Mind Power News. Also known by the name of Hyperacum perforatum, the herb can be purchased in tea or capsule form. Discuss its use with your doctor, as St. John's wort may be contraindicated in some situations, especially if you're already taking prescription medications, as it may nullify or reduce the efficacy of such medications. While there are studies that prove the efficacy of rosemary to help wake up the brain, some individuals believe that it has restorative properties when the aroma of a sprig of fresh rosemary or rosemary spice is inhaled, according to Mind Power News. Bu Nao Wan is a traditional Chinese medical herbal remedy that is believed to help clear brain fog, according to Dr. Subhuti Dharmananda of the Institute for Traditional Medicine. 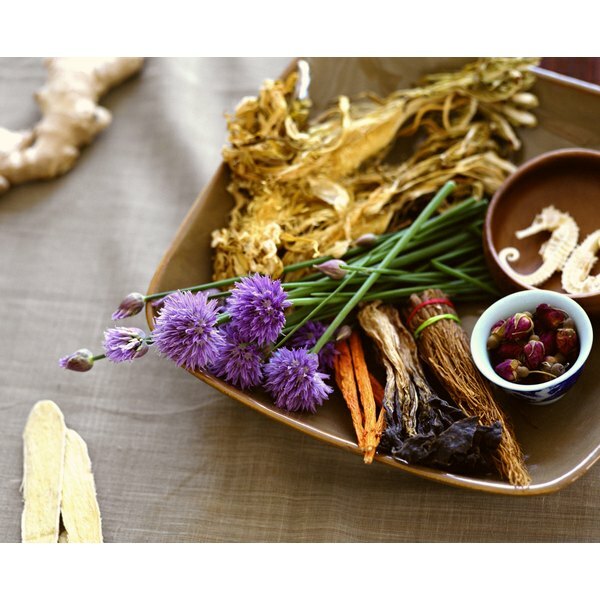 This herbal remedy includes ingredients such as tang-kuei, or dang gui, ginseng, schizandra, zizyphus, bamboo sap, dragon tooth and lycium, among several others. The concoction is also known as a Cerebral Tonic Pill. Several components in the remedy, including the schizandra and zizyphus, are believed to improve and stabilize brain function and mental alertness and focus, though these claims are not backed up by studies.